Over the last few months we have had a number of new coffees arrive. Some are being released either now or soon. Others (see below) we will only release once coffees from that country are sold out. We are trying to ensure that we do not expand much further beyond the 28 coffees we currently have on offer, so that, as coffees from a country or a limited edition coffee runs out, we can replace it with a new coffee. So which coffees are either available now or soon? As you know, our key drivers are quality and freshness of roast. Our decaf option failed at the first hurdle, we felt we were offering a decaffeinated coffee since it was something we had to do. The coffee is grown in the same province as our very popular Los Naranjos and Los Idolos, and has a taste close to Los Idolos, which has always been a favourite. A leading coffee expert rated and gave it cupping score of 89, so we believe that is the final cherry on the top. We can truly say now we have a specialty grade coffee that is decaf. Our last microlot from Leonel Trujillio is sold out. 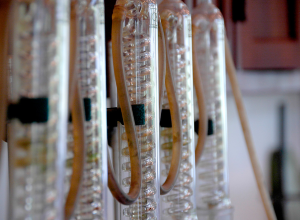 We will be releasing a new limited edition microlot , Franco Garzon, which is also from Colombia. It has great flavour complexity scoring at least a 5, and we believe it will be a worthy successor to Leonel. We will post a full write up of this coffee under beanologies when it is released. Over the next month we will be replacing our inexpensive South American blend with a higher quality blend. We are finalizing the components to ensure that the blend is one we feel represents the best of central and south American coffees, while still sticking to a budget. 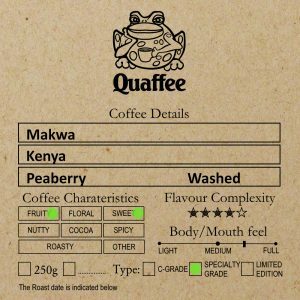 Quaffee has always had three core drivers: Quality, Freshness and to be Ethical at all times. While the word Quality means different things to different people, to us it means a coffee that we all love drinking. Freshness means that we try to get coffee to our clients as close to roast date as possible, with all coffees not sold within 7 days after roast tipped into Last Weeks Surprise. Like many industries, the coffee industry has many standard beliefs that we have not necessarily subscribed too. One of these is the belief that those that buy more, should pay less. We have never had a multitier pricing system, striving to reward those that are prepared to use their taste buds to judge our offerings rather than the price. To us it is more important that you enjoy coffee as fresh as possible, meaning as close to roast date as you ,the coffee lover, believe it should be. The over reaction to the above by bulk importers driving prices up higher than should be the case. 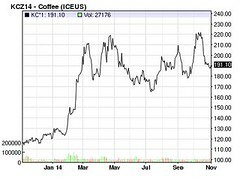 This has resulted in some of the coffees we source and use sometimes doubling in price, but in most cases increasing by about 30% over the 18 month period. Increase our prices, ensuring we carry on sourcing quality product. Since one of our primary drivers is quality we actually have no choice but to hand these increases onto you, the coffee lover. However there is some good news. Even though we have been taking the knock for the last 2 months, we felt that it is not ethical to increase the prices until January, so consider this an early Christmas present. We have also decided to run with a two tier price list. We will have what we call our Published price, which will appear on our website and when you ask for a quote. And we will be introducing a regular buyer’s price (for those that purchase more than twice in a 3 month period). Instead of adding more administration to our systems by starting a loyalty system that gives you credit back when you buy, we are going to give about 10% back as a discount on a regular purchasers price. Nicaraguan COE winning lot 21 – Genaro Herrera, we have only been able to secure 70kgs of this, and it will be released once we have sold out of the Mexican COE. Watch our Twitter and Facebook accounts. Nicaragua – La Cascada Maragogype (or elephant bean), this coffee varietal is sought after and once our Azul is finished we will release this. 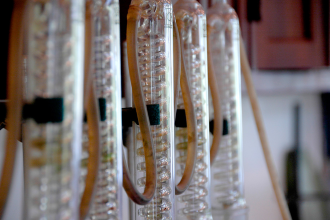 It will also form part of the new Armonizar blend. El Salvador – Las Delicias – we will release this when we are sold out of La Palma.